One of my favorite author are Dr. Wayne Dyer. He’s the guy that introduced me, among other stuff, to the teachings of Lao-Tzu. For the last year or so I’ve been reading his book Change your thought -Change your life, Living the wisdom of the tao back and forth. Dyers book contains the 81 verses and his interpretation of them. Making the verses so much easier to understand. I love the way the Man writes, his view on life and how to adress problems and excuses. I’m planning to work myself through the verses yet again. It is a work in progress and Dyer recommend that this is a work to read and process slowly. Anyway… I’m posting the verses at my blog as I go along if anyone else would be interested in reading them. Thank you for liking HORSE LATITUDES. I appreciate you taking time to check my work out. I’ve been involved in forms of this quest all of my life, (57 years) . . .
You will manifest these verses or not, as you will. The pull of the spirit is mysterious. Take time to be here, now. If this is all you choose to do, that is enough. For some reason I am encouraged to give you a reading. FROM THE COMPLETE I CHING, by Taoist Master Alfred Huang. “Sequence of the gua: After fulfilling one’s duty with composure, one feels peaceful and safe. Thus, after Fulfillment, Advance follows. All beings come into union. Their wills are the same. The inner is the yang; the outer is the yin. The inner is strong; the outer is the gentle. The inner is the superior; the outer is the inferior. The way of the inferior is shrinking.. Heaven and Earth are moving together. I love The Tao as well, in fact, that’s why I started doing Chi Quang about 10 years ago. 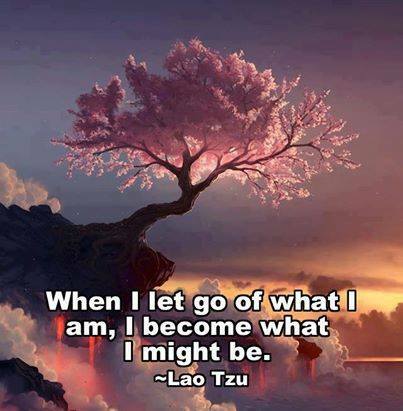 Also, Lao Tzu is a wisdom poet. As this teachings had no significant effect in the region where it has it’s origin, we shouldn’t lose our western scepticism. you’ve gotta be kidding! Chinese history and even modern day China is full of references to Laozi. ( Lao Tse). Yes, it’s like western culture in relation to the wisdom of Christianity: Only the hot air of nuclear explosions. What really happens shows nearly no references to philosophy. The bored and disappointed westener orientates himself to the east, and for the people in the east nothing is more exotic than the west. I know that because I’m living among them. It’s ridiculous! I love your way of going through the Tao. I only tried it as an oracle and as I tend not to go for such divination I have probably missed the wisdom of reading a bit each day or every so often. I came across the 40 Rules of Love of Shams of Tabriz( thers a novel too!) and have decided to read and think about each one, every so often! Too personal for me to blogthough! Sounds like you have a tough job that needs a spiritual focus and very effective way to unwind.Your photos are so sharp too.